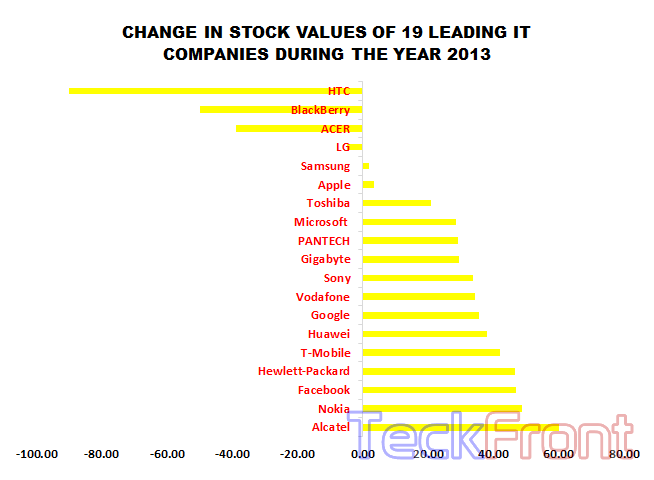 The mean stock of 19 leading IT companies changed by ‘16.59%’ during the year 2013. It was a good year for the IT companies, around the Globe. As per one analysis, the stock of 15 IT companies raised while the stock of 4 companies dropped. The companies, which had the increase in the values of their stock are; Alcatel, Nokia, Facebook, Hewlett-Packard, T-Mobile, Huawei, Google, Vodafone, Sony, Gigabyte, PANTECH, Microsoft, Toshiba, Apple and Samsung. LG, ACER, BlackBerry and HTC were not so fortunate and their stock values fell. Highest positive change ‘60.23%’ was noted in the stock of Alcatel, followed by the stock of Nokia which increased by ‘48.71%’ during the year 2013. HTC was not so fortunate and its stock fell, apparently, by ‘90.59%’. 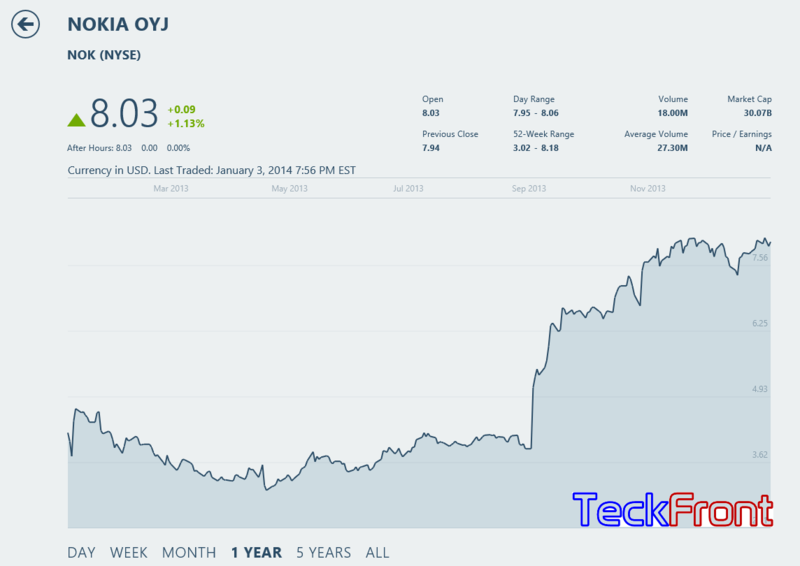 This year 2013 can be termed as the year of Nokia as NOK, the stock of Nokia, increased surprisingly by ‘48.71%’.